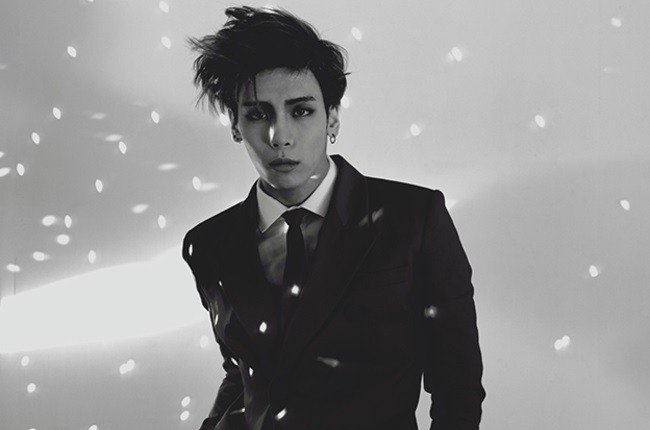 The music video for SHINee member Jonghyun’s “Crazy” was crowned the most-watched K-pop music video on YouTube for January 2015, according to Billboard. The U.S. music site based its list of most-watched K-pop videos around the globe using data compiled by YouTube. The sexiness of the video -- in which Jonghyun is shirtless and chained to a giant, robotic spider -- contributed to its popularity, Billboard reported. Jonghyun’s track “Deja-Boo” came in sixth on the list. Meanwhile, INFINITE H’s “Pretty” ranked No. 5, with Mad Clown’s “Fire” at No. 7 and Jung Yong-hwa’s “One Fine Day” at No. 8. “Crazy,” released in January, had garnered 2,544,718 views as of 4:50 p.m. on Thursday.